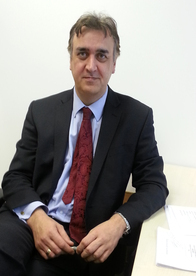 Michael is a highly qualified and experienced Independent Financial Adviser. Having previously worked for 24 years for HSBC bank. During his long and distinguished career he has advised customers on the whole range of the financial planning service including high net worth and offshore clients, as well in recent years specialising in the corporate and commercial sector. Michael has a philosophy that relationships must be built by putting all of his clients at the core of everything he does and as a result he has been able to continue to build a very successful career as an Independent Financial Adviser. Outside of work Michael enjoys most sports but in particular football, golf, rugby and squash He is a member of his local golf club and even admits to being an Arsenal fan. He would welcome the opportunity to work with you in the future.